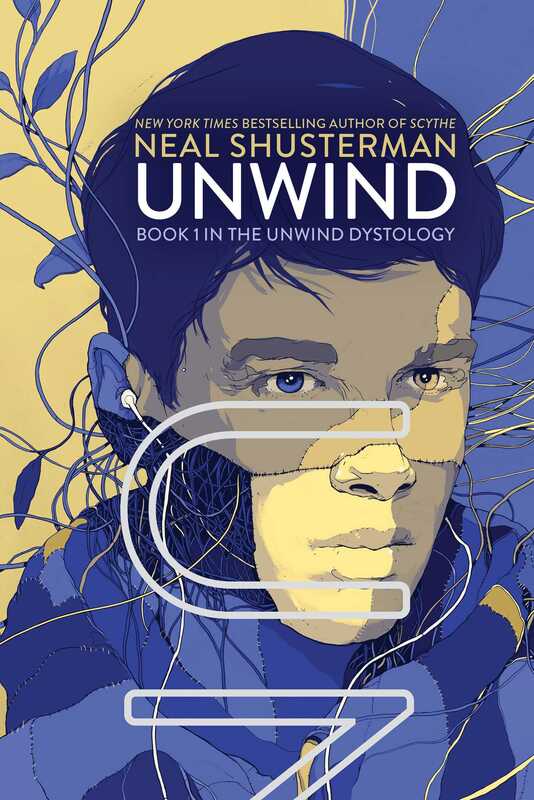 The Unwind Dystology Neal Shusterman: What Are You Reading? In the not-too-distant future, teens Connor, Risa, and Lev are on the run for their lives. Following the Second Civil War, between pro-choice and pro-life forces, the United States now allows parents to unwind their unwanted and difficult kids between the ages of thirteen and eighteen: Their bodies are surgically taken apart and all the organs and tissue are used in other people. According to the law, the kids aren't considered dead, they're "living in a divided state." But Connor, Risa, and Lev, and thousands of other teens slated for "unwinding", don't see it that way. They choose instead to "kick AWOL," or run away. Unwind follows these three across the country as they travel together, split up, and meet again when their destinies cross in a Harvest Camp where they are slated to be unwound. Have students research those who helped endangered people in the past. They can study the pre-Civil War Underground Railroad, a vast network of individuals who helped runaway slaves make their way to freedom. They can also research the stories of those who helped Jews escape the Nazis, including Oskar Schindler, Raoul Wallenberg, and Chiune Sugihara. The novel takes places after the "Second Civil War." The real Civil War was fought primarily over the issue of slavery. Learn about recent civil wars in other countries. What issues--such as religion, race, or politics--have they been fought over? In small groups, discuss the idea of a second civil war in this country, and what it might be fought over. Do you think it could happen here? Find out how many people today elect to donate their organs after their death. What is the process to do so? How are the organs handled and delivered? How many lives do they save? Ask other students how many of them intend to donate their organs. Stage a debate: Discuss whether it is a good idea to donate organs. If so, why do so few people do it? 1. How would you feel if you discovered you were going to be unwound? What would you do? If you didn't want to go along with it but couldn't run away like Connor and the others in the novel, what other options might you have? 2. How would you feel if you were in an accident, or had a rare disease, and you could be cured only if your damaged organs were replaced by parts taken from unwound teens? What would you choose to do? What if you were certain to die if you refused the parts? What if it wasn't you, but someone you loved (a parent, a sibling) who was in an accident? Would your answer be different? 3. You just found out the person sitting next to you is going to be unwound. Come up with ten good reasons why they should NOT be. Remember, their life may depend on it! 4. When do you think the story takes place? The book never reveals the year. How many years in the future might it be? What clues hint at how much time has passed? What companies or products are named? What societal norms can you point to that have changed or remained the same? What are the similarities between the world of Unwind and our own world? What are the differences? 5. Which of the three main characters, Connor, Risa, or Lev, do you most identify with? Why? What traits do you have in common? Which of their traits work for them, and which make their lives harder? Which of your own traits would you like to give up? Which would you want to keep? 6. In the course of the book, Connor and Risa get separated from Lev, who travels for a time with another character. Why do you think the author chose to split the narrative into two distinct threads? What do you think this achieves? How does this affect the evolution of the characters? 7. Compare the similarities and differences of Lev's journey with Cyrus to Joplin, Missouri, in Unwind to Huck's travel with Jim down the Mississippi River in the novel Huckleberry Finn. 8. While being transported to possible safety, some of the kids on the run wonder, "Would it be better to die or be unwound?" If given the choice, which would you choose? Why? 9. Another question the kids in the book discuss is, "If every part of you is still alive but inside someone else, are you alive or are you dead?" They also wonder if consciousness can exist even if it's spread out, and if the soul remains intact. What do you think? 10. Which adults in the story are depicted sympathetically? Which do you feel are not sympathetic? Do any shift from one to the other? How did the author describe these characters to make you feel one way or the other about them? 11. Risa is assigned to play in a band at a Harvest Camp, performing upbeat tunes while teens are marched to their unwinding. Risa is conflicted: She knows playing in the band will keep her alive longer, but it's at the expense of others, and her joy at having her fingers on a piano is matched by the horror of knowing what's going on around her. How would you feel in this situation? Would you accept the position? Are there any situations in history similar to this? 12. What positive consequences do you imagine would be realized by a society where unwinding exists? What are the negatives? Do you think the negatives outweigh the positives, or the other way around? 13. A euphemism is a mild word or phrase that's used to refer to something unpleasant or embarrassing. "Living in a divided state" is a euphemism officials in the novel use in place of "being unwound." Another euphemism in the novel is "harvest camps" in place of "unwinding facilities." Can you think of any commonly used euphemisms in real life? Why do you think people use euphemisms? 14. In the novel, unwinding becomes big business, as there's a lot of money to be made from ill people and accident victims requiring fresh organs, and the population looks the other way, not considering the source. Are there any present-day situations you can think of where ethics have been compromised because of money, or because it's simply easier not to think about it? Predict a situation in the future where greed or denial could defeat morals. 15. Imagine that you are approached to join the Clappers, the novel's futuristic terrorists. How would you respond? What would you tell them? 16. Connor's anger and lack of impulse control is often a problem for him, until he learns to control and channel his emotions. Do you ever feel like your impulses are stronger than your will? What strategies do you use to control your feelings? Do they work? 17. The bully, Roland, makes life hard for Connor and Risa from the time they meet him. What do you think of his ultimate payback? Did you think it was fair? Was it satisfying, or did it make you squirm or both? Why? In the novel, Sonia, the owner of the antique shop, has each of the teens she helps write a letter to someone they love. Write your own letter to someone you love and, like the kids in the novel, put everything you want to say to that person, good and bad, in the letter. Would you be willing to show this letter to the person you wrote it to? Why or why not? What about in three or four years? Draw up a will; instead of possessions, it's your personality that you're giving away. List your personality traits. What parts of your personality (your sense of humor, your determination, etc.) would you give away, and to whom? Prepare testimony to Congress as they begin hearings on the status of the Bill of Life. Write your testimony from the point of view of a teen slated to be unwound or from someone whose life was saved by receiving body parts from an unwound teen. Hold hearings, where several students share their testimony with the class. Then debate whether the law should be changed or not. Risa's band plays "Don't Fear the Reaper," among other songs, for the teens who are going to be unwound. Put together a set list of songs your band would play if you were performing at a Harvest Camp. Explain your choices. In the novel, the characters arrive at "the graveyard," a safe refuge for teens facing unwinding. In a group, invent another location where teens have gathered. Describe how your own makeshift community functions, and what each of your jobs is. Create a list of ten rules for getting along, in the spirit of the Admiral's "Ten Demandments." At the novel's end, when different people who obtained parts from a single individual are brought together, they begin to act as a unit. In a group, try performing the acting exercise known as "the Machine." One person does a single repetitive motion over and over again. Then a second person joins the first, repeating a different but complementary motion. Then the others join, one at a time. In the end, you will have a "machine" with a number of different parts, all doing separate but related motions, acting as a single entity. Try telling a story in which every person, one after another, gets to donate only one sentence. The goal is not to throw the story off track, or to be funny, but to make the story coherent. Can it be done? Did the story make sense? Write a newspaper article dated one year after the end of the novel. What news event has just happened (for example, a new election, a riot, a new terrorist attack)? Has it changed anything fundamental about the society or the Bill of Life? Has the law been repealed? Connor Lassiter: a sixteen-year-old troubled kid. When he learns his parents have signed an unwind order, he runs away in search of a place to hide until he's eighteen years old. Risa Ward: fifteen years old, an orphan at a state home. She runs away when the administrators sign the order to have her unwound, and out of necessity joins Connor in seeking safety. Lev Calder: the tenth and youngest child of his religious family, a "tithe" who was born to be unwound when he reached his thirteenth birthday. He is "kidnapped" by Connor, who means to save him from his fate. Pastor Dan: Lev's minister and his spiritual advisor. Pastor Dan gives Lev support as he approaches his unwinding, but at the moment Connor frees Lev, he urges him to run. Hannah Steinberg: the high school teacher who hides Connor and Risa in a classroom. Sonia: an antique-store owner who hides AWOL teens in her basement, the first step on their roundabout journey to safety. Mai: an AWOL Asian girl whom Connor and Risa meet while in hiding. Roland: a manipulative, ruthless AWOL bully who has continuing confrontations with Connor. Hayden: a snarky but thoughtful AWOL with attitude. Cyrus Finch (CyFi): a runaway teen encountered by Lev. Cyrus, who received a piece of brain from an unwind, is searching for something the unwound kid in his head is trying to tell him. The Admiral: the adult, former U.S. Navy man who runs "the graveyard" where many AWOL teens stay for safety. The Admiral was one of the drafters of the Bill of Life. AWOL: a runaway teen, scheduled to be unwound, hoping to survive to age 18; said to be "kicking AWOL." Bill of Life: the law instituting unwinding. Chop Shop: the operating room where teens' bodies are surgically taken apart. Clappers: suicide-terrorists who have replaced their blood with a nitroglycerin blend. They blow themselves up by clapping their hands. Harvest Camp (formerly called "unwinding facilities"): where teenagers awaiting unwinding are housed, as well as where the procedure is performed. Humphrey Dunfee: urban legend about an unwind whose parents go crazy from grief and kill all the recipients of their son's body parts, in an attempt to reassemble their son. Juvey-cops: Police officer specializing in taking down AWOLs. "Living in a divided state": a euphemism for being unwound. StaHo: State Homes, orphanages where wards of the state stay until their eighteenth birthday or until they are sent to be unwound. Storked: babies who are left on doorsteps. The homeowner is obligated to keep and raise the child. Tithe: a child of a religious family who is born and raised to be unwound, as an act of charity. 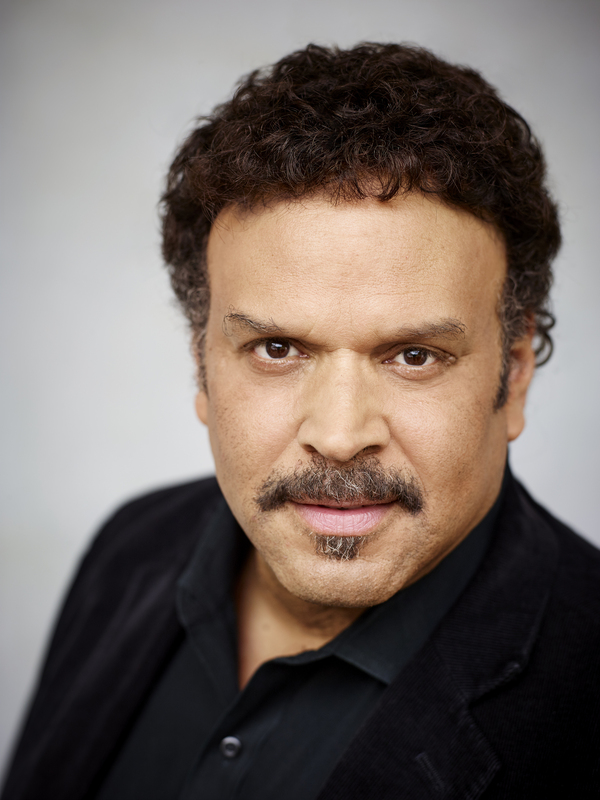 Neal Shusterman has written numerous novels for young adults, including Everlost, Full Tilt, and Downsiders, which was nominated for twelve state reading awards and was an ALA Best Book for Young Adults and a Quick Pick for Reluctant Young Adult Readers. He also writes screenplays for motion pictures and television shows, including Pixel Perfect for the Disney Channel. He lives in Southern California with his four children, none of whom will ever be unwound. Or so he says. Guide written by Eric Elfman, author of many books for children and young adults and several Study Guides for the Mark Taper Forum/P.L.A.Y.